In the 1980's ski fashion was all about day glow one-piece suits. In 2013 it's all about short skirts and neon Aliens! The Aliens have landed, the Aliens have landed! Ah well, there is just something about a product called Aliens that requires that opening. The truth is though, the Aliens have landed in the U.S. and they absolutely rock if you like to go uphill. Consider the numbers first off. A Mondo size 29 Scarpa Alien shell weighs in at 1 pound, 10 ounces. The Dynafit TLT Performance shell, also in a size 29, weights 2 pounds, 4 ounces. Meanwhile the Scarpa Maestrale size 27.5 shell, which I consider to be the baseline boot for true backcountry skiing, tips the scales at at 2 pounds, 14 ounces. I give shell weights because liner weights often tweak the real story of a boot – put in an ultra-thin liner and, yeah, the boot's going to be lighter. The regular Alien comes with a fairly lightweight Intuition liner that provides surprising warmth. Elaine and I used this liner at the Jackson Hole Nationals where the temperature at the start of the race was -25° F. Despite fears that our toes would fall off, it never happened. Our feet stayed toasty warm throughout. We also used the boots in the Elk Mountain Traverse and many, many cold dawn patrol mornings. Same results. I think the reason is because the boot has such fantastic articulation blood keeps flowing. Oddly enough, I had less cold feet problems in the Alien than in either the TLT 5 or the Maestrale this season. The Alien is the finest boot for going uphill that this author has skied. While weight savings is part of the story with this boot, articulation in the skinning stride is the real benefit. The articulation is incredible, and feels very much like a running shoe. There is virtually no resistance to the natural stride. It even makes the TLT 5, which is renowned for its articulation, feel a bit encumbered. Meanwhile, the Maestrale, which is a damned fine overall touring boot, feels almost Frankenstein-like in comparison. It's not of course, but going up against the Alien is an unfair fight for just about any boot when it comes to the up. Simply put, there is no better boot that I've skied for going uphill or on long flats than the Scarpa Alien. How about on the down? Well, there is no question, this is a quiver boot (or a quiver of one if you are strictly a rando-racer/fitness type skier). We pair this boot with Ski Trab World Cup and Freerando Light skis, which are 63 and 80 mm at the waist respectively. They handle these two skis perfectly, and I suspect they'd be OK up to about 88 mm underfoot on a lighter backcountry ski. Beyond that though, I think you'd want more boot, although if you sized them snug (we did not – a solid two fingers) and maybe went for the $1,800 carbon version you could push that envelope more. They ski down with smaller skis just fine and in corn snow conditions it's quite possible to arc some Tina Maze-like turns on a boot that weighs less than an iPad. For steep 40° plus couloirs and bigger skis from around 90 mm to 105 mm underfoot, I prefer the TLT 5, as it offers more lateral support and the option of the stiffer tongue. 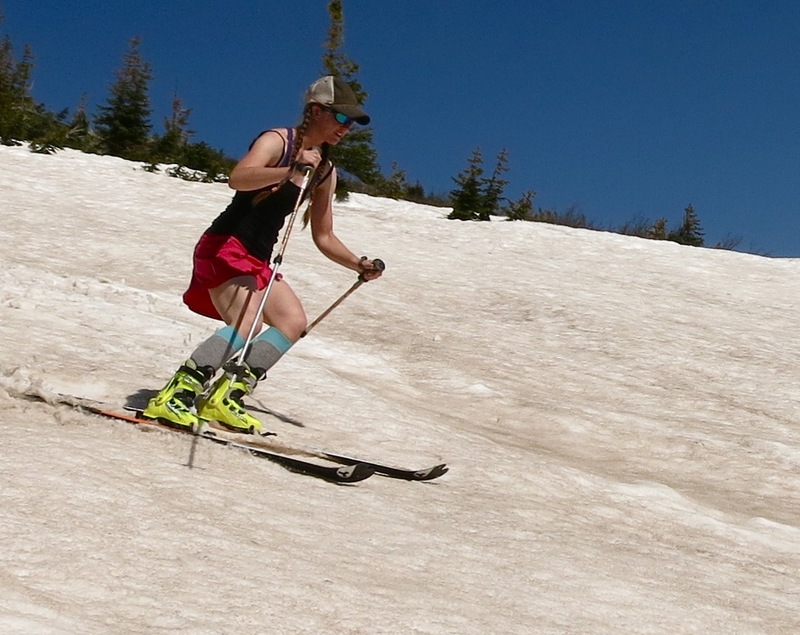 For my fat backcountry skis and Teton Pass mid-winter days, it's the Maestrale all the way. Aliens are a perfect match for rando race skis and thinner (up to 88 mm), light spring ski mountaineering skis like the Ski Trab Freerando. Sizing these boots is tricky. They definitely run a little smaller than the standard Scarpa Mondo. I normally use a 27.5/28 shell size in a Scarpa, but with the Alien I bumped up to 28.5/29. I made this decision after visiting the Scarpa office in Boulder and shell checking my normal size. It felt crunched in the toes. That said, there have been times this winter where for downhill performance-sake I would have preferred the smaller size. Still, I think I made the right choice, because in the events that I really use boot for – longer backcountry skis – they performed perfectly. My advice would be to size up a smidge. The nice thing about sizing a little big is that the BOA lace system actually locks your foot in there pretty well. Combined with a good footbed, and performance will be very solid and the feet will be toasty. What about the negatives? Well, the open front of the boot is the reason the articulation is amazing, but it leads to snow getting into the boot. We tried using the gaiters but found they didn't really do much for us. Without exception, we would need to dry the liners after a ski thanks to the open air front. But then again, our feet never really got cold. Could it be the result of some extra-terrestrial alien magic? Who know, but if it works, don't whine, eh? I have concerns about the durability of the BOA system but so far so good. The tread on the boot is thin, so I don't go hiking through miles of scree with them. They are so light, it's no problem tossing a pair of light runners in the pack for such situations. The opening buckle on the back is kind of a pain when sitting in a squat as it tends to auger right into the buttocks. On the flip side though, it doesn't rip the side of your ski pants like the TLT 5 buckle does. Pick your poison I suppose. Overall I love this boot. 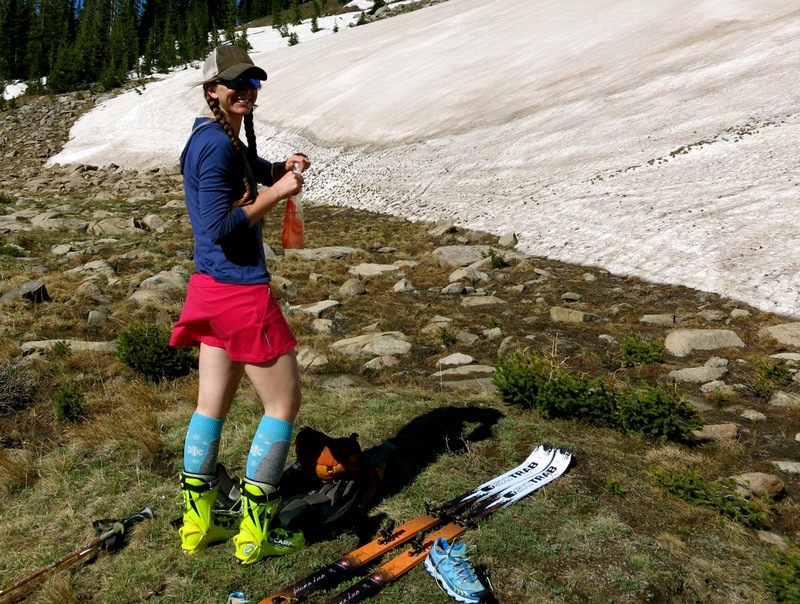 It's my go-to favorite for fast-and-light fitness efforts, rando races, the Elk Mountain Traverse or any ski with a massive approach. 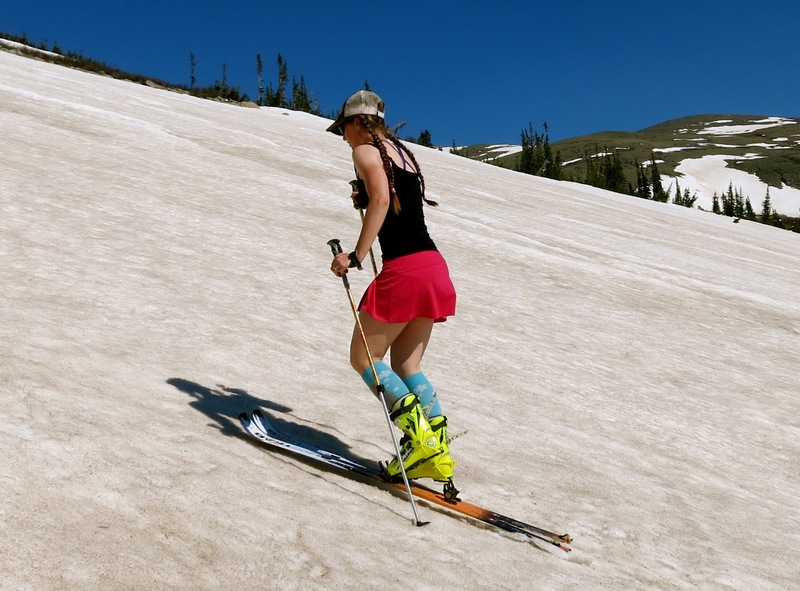 It serves admirably as a spring ski mountaineering boot for slopes up to 40°, but for harder snow, bigger skis and steep conditions, I'd go with the TLT 5 and sacrifice some of that uphill performance. The regular Alien costs $799 retail and are plenty good for 99% of people out there who don't want to drop $1,800 on the carbon version. The Aliens have indeed landed, and that's a very, very good thing!